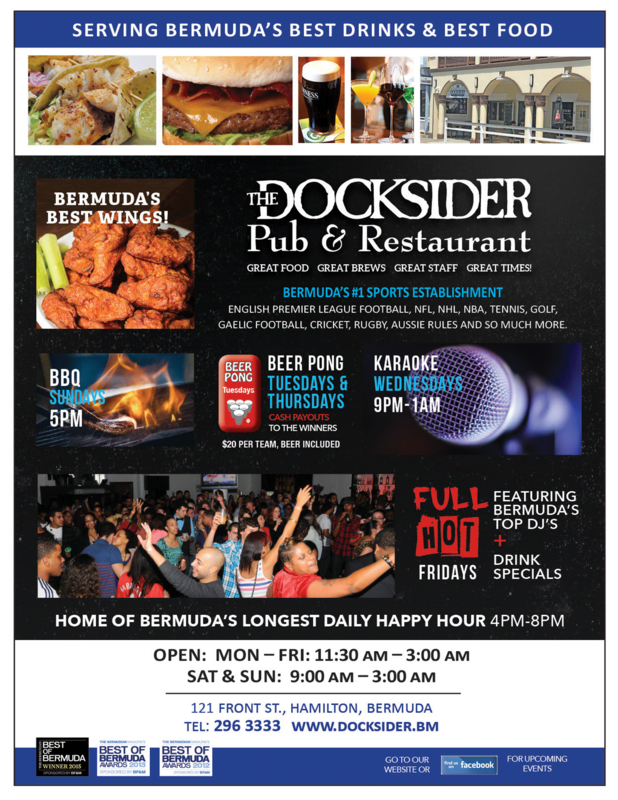 The Docksider Pub & Restaurant, fondly called “Docksider’s” or “Dockies”, is Bermuda’s favourite watering hole. Dockies is known for its delicious bar food and a is a popular hangout for sports fans with 20 big screen TVs favouring different teams and sports on each side of the bar. Find a comfortable booth by the window or pull up a stool at the cedar bar, or find a spot out on the newly renovated al fresco patio, right on Front Street. 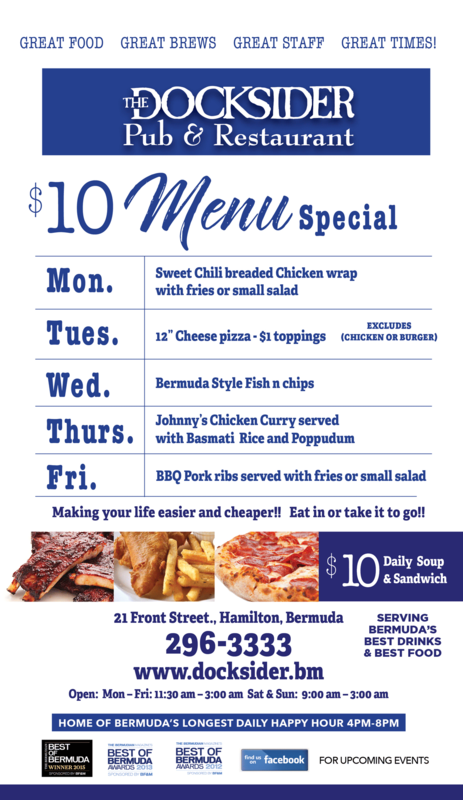 which includes Bermuda style fish and chips and Bermuda’s best chicken wings, spicy curries and a variety of daily specials are also on offer. For lunch, check out our burger bar or try a homemade pizza. Are you looking for a caterer who can take care of absolutely every detail of your upcoming event, whilst remaining completely flexible to your particular catering needs? Your search for the perfect caterer is over! The Docksider Catering Division caters for all types of events, large or small, formal or casual, breakfast, lunch or dinner, corporate or private. Whatever your function, we can help make it an outstanding success. Offering unbelievably great value, all our menu offerings are completely exible so that you can select exactly what you want and how much you need. We have prepared menus that cater to a wide variety of tastes and suit a range of functions and budgets. Finger food and appetizers, customized BBQ’s, roasts, pastas, delicious entrees and desserts – whatever you need, we have you covered and at a price you can afford! Please feel free to customise your own menu. Chef Johnny and his team are here to make your day!! FULL BAR SERVICES ALSO AVAILABLE. WE ARE OPEN DAILY FOR LUNCH AND DINNER. 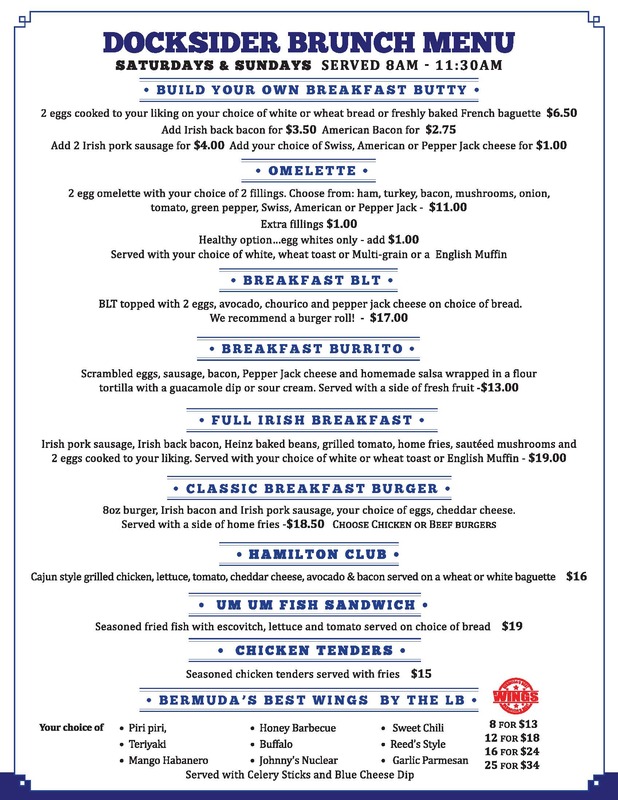 Our kitchen is open from 11am – 10pm every day! Happy Hour prices every day from 4-8pm.